The season is over, and the Stanley Cup has been awarded. But the NHL still has some hardware to hand out. In just a few days the NHL will hand out the Calder, Hart, Norris, Vezina and Jack Adams Trophy at the NHL Awards Show in Las Vegas, Nevada. 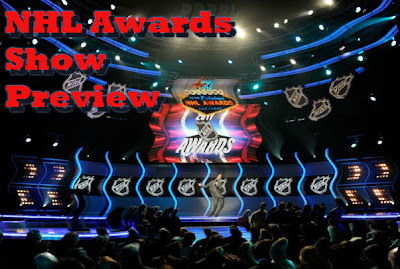 The league’s best players will invade Sin City, and will wait for the crowning of the NHL’s best rookie, head coach, defenseman, goalie and most valuable player. Over the next few days we’ll give you an inside look at who should win and why. Today, the Hart Trophy. The three players up for this award are possibly the most dominant players in the NHL today. However, this award goes to the player seen as the most valuable player to his team. In other words, when awarding this trophy you have to think, which team would not have been the same if that player was not present. When looking at it this way, Malkin, a two-time runner up for the Hart, should find that the third time is the charm and win the Hart this year. Malkin has already grabbed the Art Ross Trophy for leading the league in scoring, scoring 50 goals and recording 109 total points in just 75 games played. But Malkin did more than just light up goalies and dangle d-men this year. Most had questioned the Penguins ability to compete when captain, Sidney Crosby, went down with a concussion and would miss a prolonged amount of time. Malkin seized the reigns, put the Penguins on his back and carried them to a 51 win, 108 point season, while Crosby nursed his injury for three quarters of the season. Sure, Lundqvist was probably one of the best goalies in the league last season, behind Jonathan Quick, but he had a hell of a supporting cast. Stamkos was the only player to eclipse the sixty-goal mark, but that was the Lightning’s only bright spot and that didn’t do much for them. Malkin was perhaps the most dominant player in the league, and without him there is no way the Penguins qualify for the playoffs as a number four seed. Without Malkin bringing in the success, who knows what panic Pittsburgh could have spiraled into with an underachieving squad. Malkin takes home the Hart.